The Cultural Center of Belém (CCB) is the largest building with cultural facilities in Lisbon, Portugal. 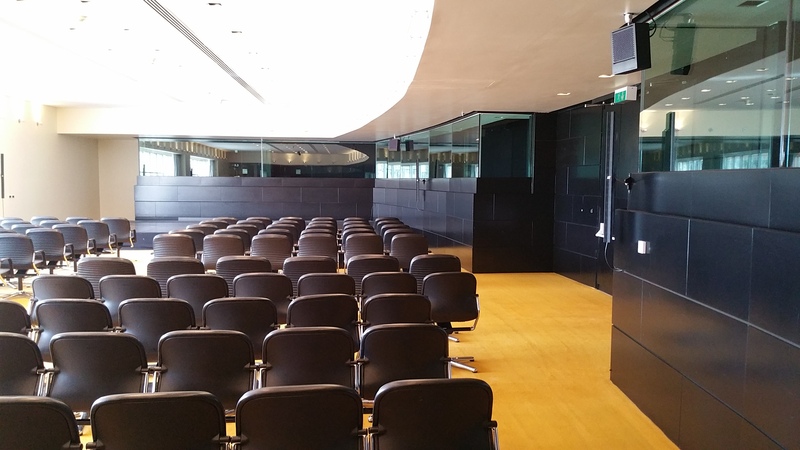 The CCB was initially built to accommodate the European Presidency, but adapted to provide spaces for conferences, exhibitions and artistic venues such as the opera, ballet and symphony concerts, in addition to political and research congresses using its high security meeting halls and large exhibition area. 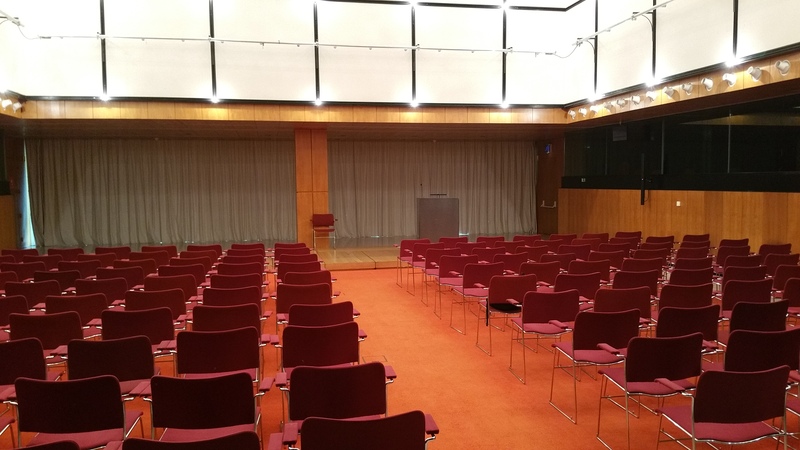 In 2015, 23 years after its inauguration, the center was in need of remodeling the audiovisual equipment in the three main conference rooms. 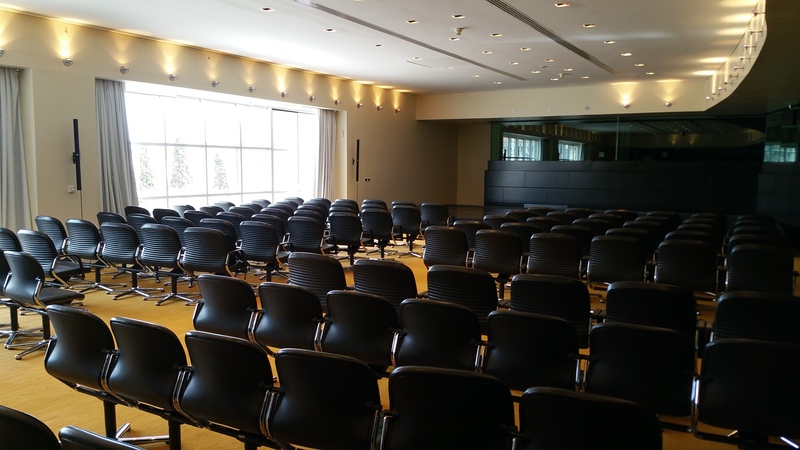 The requirements needed to satisfy the fixed installations were good sound quality, uniform coverage of the rooms, equipment with a good compromise between spoken word and small live music concerts and a good integration of the spaces. 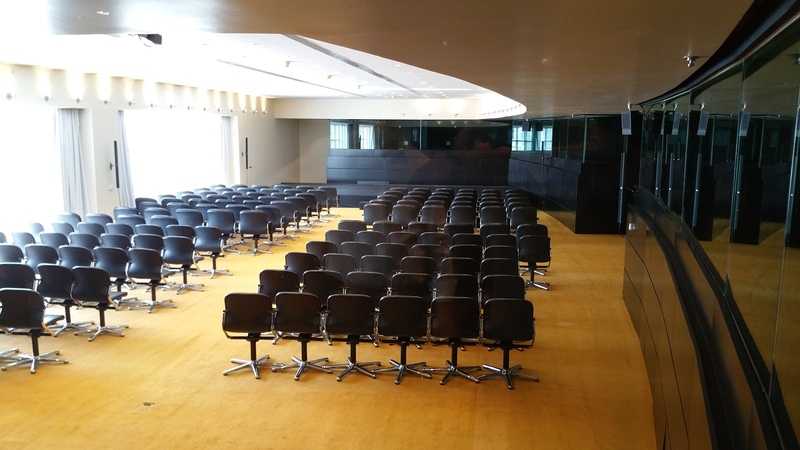 After an exhaustive study by the technical department, CCB selected the system that showed the best performance along with the best integration with the rooms’ architecture. 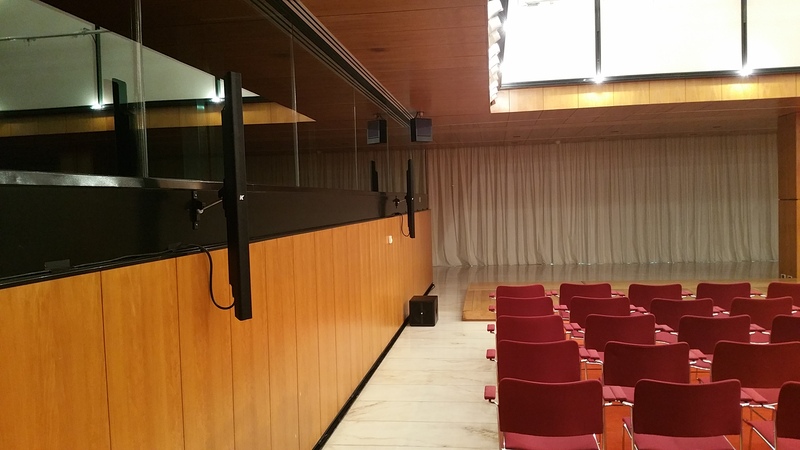 For the Sala Luis de Fritas Branco, the Sala Almada Negreiros and the Sala Sophia de Mello Breyne, a system comprised of four Kobra-KK102 speakers, two Thunder-KMT12 subwoofers and two KOmmander-KA24 amplifiers were installed in each room. We decided to use K-array based on the incredible results of the onsite testing. It was an obvious choice since the equipment performed the best and incorporated with the rooms architecture in a subtle way. We were really satisfied with the end results and, more importantly, so were the clients.